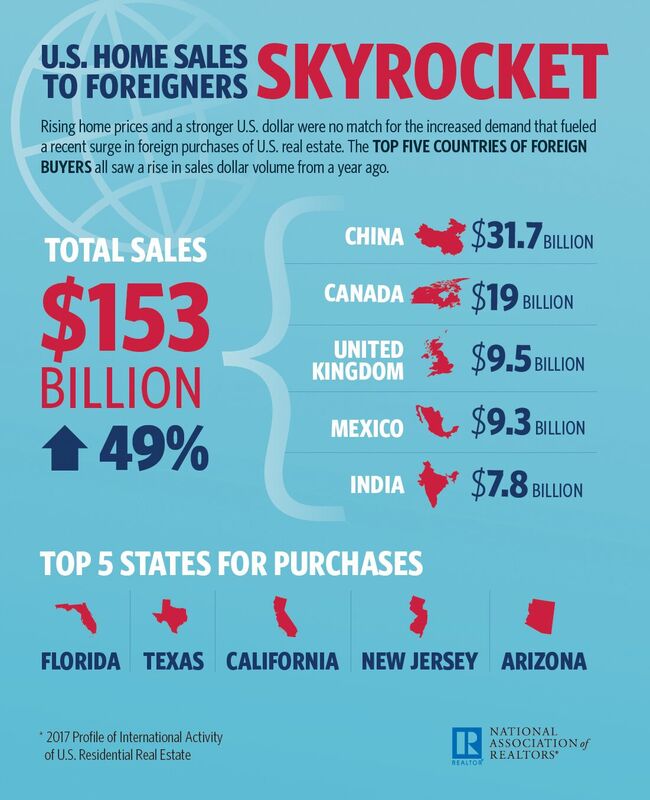 Foreign home-buying in the U.S. leaped 49 percent to $153 billion in the last year, a record high in the National Association of REALTORS® (NAR) Profile of International Activity in U.S. Residential Real Estate, recently released for 2017. The boost came as activity from Canada exploded to $19 billion, with buyers from China, India, Mexico and the UK also contributing considerable volume. All told, foreign buyers purchased 284,455 U.S. homes from 2016 to 2017, with a sizable share of transactions taking place in California, Florida and Texas. Activity on the part of resident foreigners and non-resident foreigners both expanded—the former up 32 percent to $78.1 billion, and the latter up 72 percent to $74.9 billion. 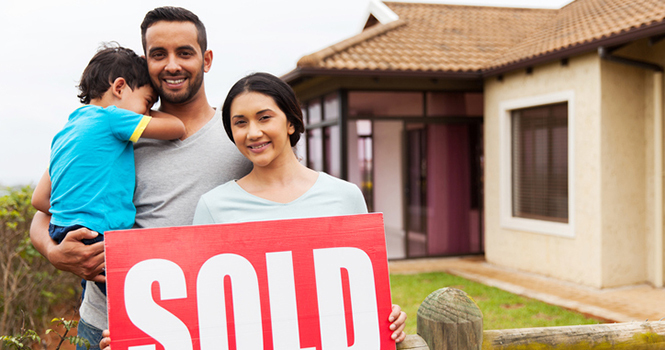 The median sales price of homes bought by foreign buyers was $302,290, according to the Profile. Forty-four percent made all-cash purchases, and 10 percent made $1 million-plus purchases. Buyers from China comprised $31.7 billion of the total volume between 2016 and 2017, followed by Canada, the UK at $9.5 billion, Mexico at $9.3 billion and India at $7.8 billion. Home-buying activity originating from Canada was concentrated in Florida, while activity originating from China was focused in California and activity originating from Mexico occurred in Texas.